This site was MANmade by House of M.A.N. 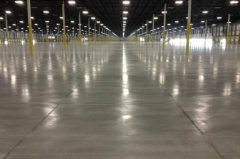 The Concrete Floor Contractors Association of Canada (CFCA) is pleased to provide a Specifiers Guide to Interior Concrete Floors to all specifiers of concrete floors. Through this transfer of knowledge, it is our hope to help design better concrete floors which are durable and sustainable. Specifiers are encouraged to register so that annual updates can be sent to you automatically. Please contact the CFCA if you have any questions or suggestions. It is recognized that owners and specifiers in both the public and private sectors cannot intimately know every industry with which they contract. Furthermore, the global construction landscape is constantly evolving with new innovative materials, methods and safety requirements. This presents a problem in evaluating the multitude of companies competing for construction work in a fair, open and transparent manner. This report has been prepared by Purchasing Consultants International (PCI) to address the need for a clear, concise, and standardized best practices guide to be used in solicitation documents, and specifications when prequalifying and tendering Concrete Floor Trade Contractors (CFTC’s). As a result, the owner/specifier will create a high enough benchmark to guarantee quality craftsmanship, while remaining open to a high level of competition between high- performance contractors. Exposed concrete floor finishes are a large part of the sustainable future. The combination of colours and textures for concrete surfaces provides an almost limitless expression of creativity for architects and long term durability for owners. The CFCA invite you to review their presentation on Architectural Finishes and Product Library for further information. The CFCA represents the major concrete finishers and materials suppliers across Canada and we are here to help you ! Homeowners across Canada are increasingly choosing architectural concrete pavements for their walkways, driveways, pool decks and patios. Concrete pavements can be very durable when constructed properly. It is important for you to obtain references and a written guarantee from your concrete contractor to ensure that they stand behind their work. SERVICING THE RESIDENTIAL, COMMERCIAL AND INDUSTRIAL MARKET FOR OVER FIFTY FIVE YEARS.